If you came here after clicking on my ad about making money from your hobbies, you have come to the right place. My hobby happens to be writing, but what's written on this short page applies to any hobby. Put simply, if every day you had a thousand or more people show up to hear what you have to say about you hobby, do you think you could be a source for their supplies or an advertiser for products you share an interest in with them? That's no problem with SBI. Please remember, I'm the same Christian that has written the pages of Christian-history.org. I'm honest and very straightforward. I do not lie or exaggerate even on ad pages like this. I've spent my life learning how to become a writer, but I learned little to nothing about how to find an audience. Today just over 1,000 people read my "books." Tomorrow, about a quarter of those will read them again. They will be joined by 750 new people. By the end of the month, my readership will include over 20,000 people. That number keeps rising. It is May, 2011 now, and my new visitor average is now at 1,131 per day. That's over 33,000 in an average month! Total visitors is just shy of 1,600 per day, which is 48,000 per month. This is not because I'm a great writer (even though I hope I'm a very good one). Thousands of average people are doing exactly what I'm doing, many with even greater success. We're doing it with SBI! The world has changed. Long months or years of submitting queries to and receiving rejections from large publishing companies are no longer necessary to becoming a writer ... nor to obtaining readers!. I have a thousand readers every day (1600 now), and my sites are only average for an SBI! site! Christian History for Everyman has become comprehensive enough to keep growing and making money under its own momentum. I have devoted the last few months to writing a book that tells the story of the Council of Nicea. When I explained to a friend of mine that I would make it an ebook, and that I would use a print-on-demand publisher for the hard copies. He asked me, "Have you tried to get it published by a conventional publisher?" What publisher could advertise my book to a thousand people every day who are interested in Christian history? Over the next year, about a quarter-million people will look at Christian History for Everyman, every one of which either searched for a church history subject on the web or was referred by a friend. No Christian publisher has that kind of a warm, targeted audience for Christian history. 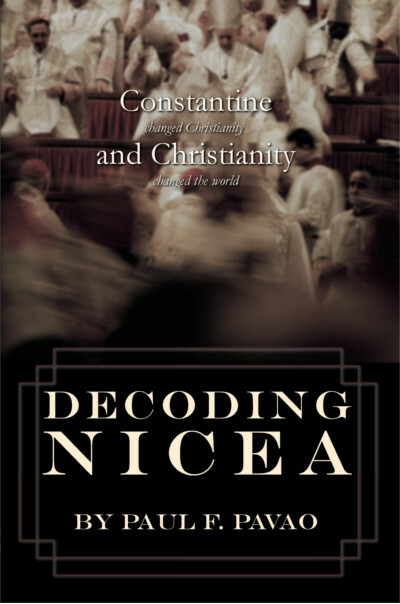 Even though Decoding Nicea is self-published, it is being professionally edited and designed. It is now available, and it is getting rave reviews. I'm thrilled! It is certain that if you enjoy this web site, you will enjoy the book. Available in ebook (.pdf) and on paper! One of my favorite examples of this is Richard Bergman's web site. 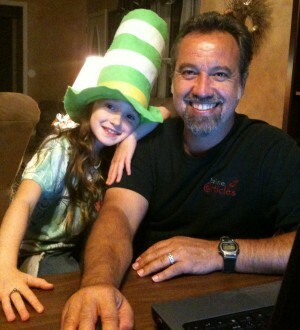 He had his own deck construction company, and he needed a web site to bring in customers. He stumbled upon SBI!, and they taught him to provide answers that internet users were searching for. Richard used their tools, found out what people wanted to know, and he gave them answers in his area of expertise: deck-building. As his site grew, so did the site's readership. Soon, Richard had so many customers that he had to pass them on to other builders. Today, Richard no longer builds decks himself. 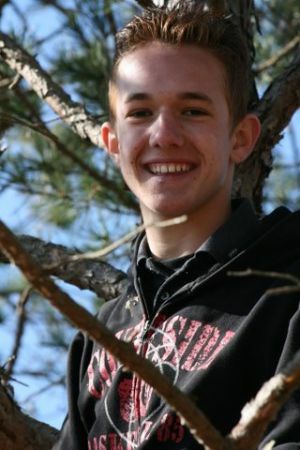 He simply sends his site's millions of readers to other companies for a referral fee. It's not just Christian History for Everyman that's succeeding. This is an example from our Revolutionary War site. 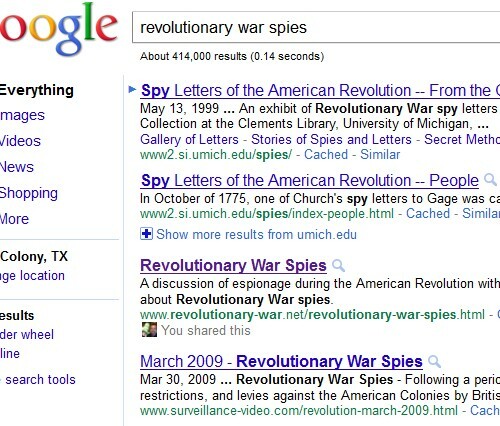 It's newer, so our spy page sits at #3 for "revolutionary war spies" at Google! Better yet, our page on Miss Jenny is #9 for the same search! As of May, 2011, Christian-history.org has 37 keywords that are on the first page of Google, which is how it's getting its 950 visitors per day. Ever wondered how to be on Google's first page? SBI! sites are there all the time. If your end goal is to make money, what better way to do it than to bring a flood of traffic into your web site, all of them happy and grateful for what you've provided! SBI! is not a web hosting company. SBI! builds internet businesses. How real a description is that? SBI! training course for new owners is now an official college course at 30 universities! You can now try SBI! risk-free for 90 days. Actually, the 90-day, money-back guarantee is not the best part. They give that guarantee because they know that almost everyone that actually picks a topic and starts a web site sticks with it is stunned at the results. I once sat through a seminar from a company offering a very similar set of tools, but with a lot less support. They were offering their tools for a cost of $4,000. They sold them so well that 42 of the 45 people at the seminar purchased web sites, most having to agree to a payment plan to do so. That other company gave a disclaimer at the beginning that web site examples they used might not be from their company. SBI!, on the other hand, loves to provide examples, knowing they're the only ones who can. That's why their price will shock you. If you want to start an internet business—or just give a message to the world, SBI! is the way. In the following screenshot, you can tell which are my SBI! sites, and which are hosted elsewhere. The difference between them is dramatic. Is the webmaster different? 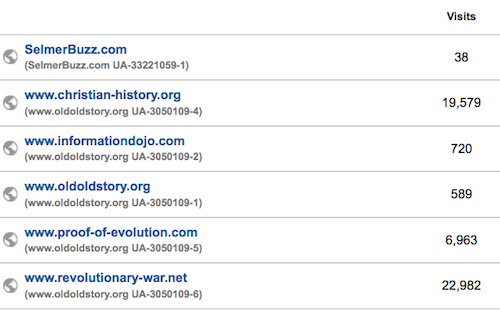 No, I'm the webmaster for all the sites listed here. Both informationdojo.com and oldoldstory.org are older than my SBI! sites. Oh, you actually read that last box? Great! Here's the link to SBI! again. I get a commission if you sign up for Solo Build It, but I'm recommending it because it works and I'm excited about it! I've seen people be ripped off by an organization mimicking Solo Build It, so I know lots of us are looking for a way to earn an income online. I've done the research. You can do massive education, and if you're skilled enough you can achieve success. Or, you can be a dishonest, pushy salesman of false dreams and succeed. Or, you can sign up for Solo Build It and succeed.